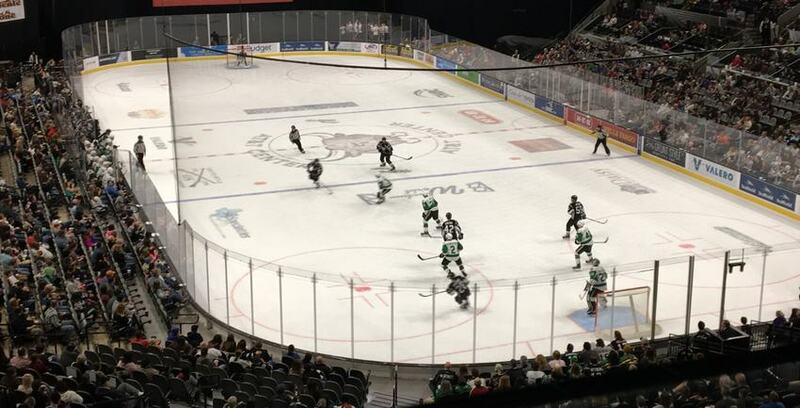 The Lockaway Storage Team took an evening away from work to watch the San Antonio Rampage. Lockaway Storage boasts an impressive list of local commercial clients that choose them for their outstanding customer service and top notch self storage facilities. However, the relationship between Lockaway Storage and the San Antonio Rampage is a truly special one. When local minor league team was shopping for a place to safely store some extra equipment, Lockaway Storage presented a unique, mutually beneficial plan. The partnership has been in place for a number of years now. As far as company outings go, the Rampage do not disappoint. This year, more than 50 Lockaway Storage team members enjoyed the outing, as they spread across two suites. Of course, this has proven to be one of the more popular company events at Lockaway Storage. The Rampage are the top affiliate of the Colorado Avalanche of the NHL, after signing a 5-year affiliation deal prior to the 2015–16 season. The Rampage are owned by the San Antonio Spurs. Lockaway Storage will continue to diversify its deep portfolio of commercial client renters like the Rampage, as well as offer the best quality units at an affordable price for private renters as well. If your business or charitable organization needs storage or office space, contact one of our more than 30 self storage facilities in San Antonio.